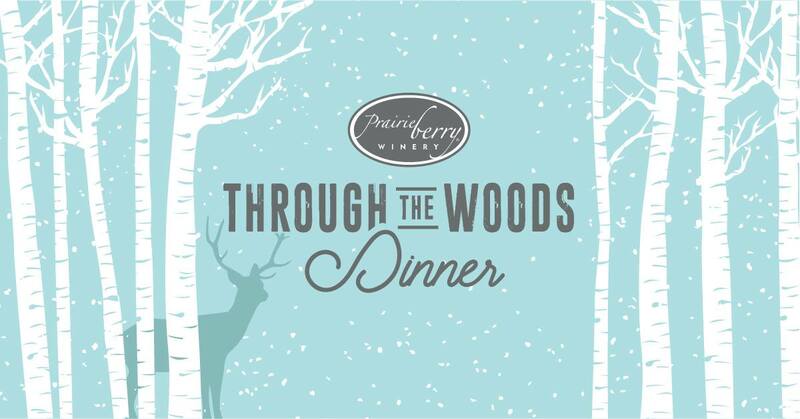 Celebrate the season and join us for Through The Woods Dinner, an old-fashioned Christmas dinner, on December 8 from 5-7p.m. at The Homestead at Prairie Berry Winery. Straight from grandma’s recipe book, enjoy a three-course dinner of your favorite holiday foods paired with your choice of Prairie Berry Winery wine or Miner Brewing Company craft beer. Receive a free gift to take home with the purchase of your ticket. Tickets are $45 and can be purchased in the Prairie Berry Winery Tasting Room in Hill City, by calling 605.574.3898, or online at PrairieBerry.com. The deadline to order your ticket is December 3. Must be 21+ to attend.